CRESTED BUTTE, Colo. – The Cattlemen’s Days Tough Enough to Wear Pink program is the largest of its kind in professional rodeo. It’s a grass-roots effort that has been raising money for the needs of families battling breast cancer in in Gunnison County. More than $2 million has been raised, all to be invested in the local community, which says quite a bit about how locals feel about the work being done by the organization. 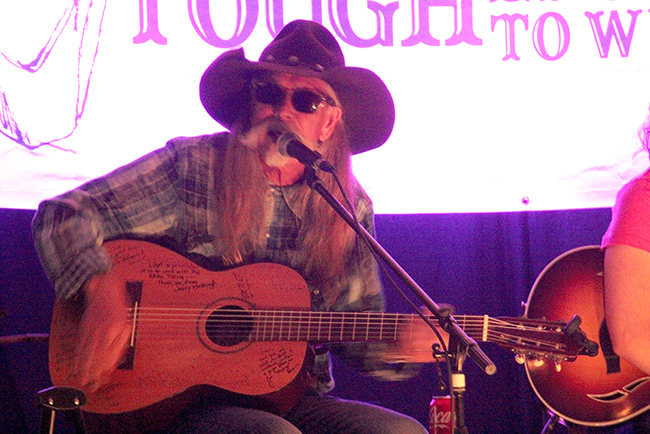 “Our Songwriter Concert and Auction has become our largest fundraiser of the year,” said Heidi Sherratt Bogart, executive director of Cattlemen’s Days Tough Enough to Wear Pink. “A lot of people who are in that room have been there since the beginning 13 years ago. This year’s festivities begin at 6 p.m. Tuesday, July 10, at Mountaineer Square in Mt. Crested Butte and will feature country stars Tyler Farr, James Otto and legendary songwriter Dean Dillon, who also serves as a TETWP board member. Because of the intimate setting, it offers something special to those who want to be part of something truly special. The money always will be used locally, in line with the TETWP mission. A year ago, the TETWP board purchased a 3D tomosynthesis machine, which is a higher-level mammogram for those who need better imaging technology due to breast density. Within the first few weeks of being put in service, Dawson said, the three-dimensional machine detected abnormal growths in patients that 2D machines would not have identified. The 3D pictures are shockingly clear. These patients may have gone undetected for another year under standard screening protocol. The faster diagnosis allowed for patients to be diagnosed and treated quicker, reducing treatment timelines and, hopefully, saving lives. Its those types of instances that mean so much to the community and serve as a reminder to the importance of the event to the TETWP board members. “What makes it so special is that it’s a comfortable setting and the intimacy of the room,” Dawson said. “You not only get the songs, but you get the stories behind the songs. You don’t get that if you go to a 10,000-seat venue or to a traditional concert. Gunnison TETWP has been in the Top 3 fundraising organizations for the PRCA TETWP campaign since its inception and is one of the overall leaders for fundraising in the nation. With the TETWP program platform giving all of the contributions back to its local community, this will be truly an event not to miss to raise funds for breast cancer and enjoy a unique and intimate evening with country music’s brightest new stars and legendary icons.